Welcome to the Customer Success Ohana! 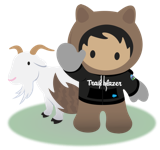 Release Readiness Trailblazers is dedicated to helping you stay up to date on the latest and greatest product enhancements and innovations. Consider this group the central location for release information for all Salesforce Clouds, Join the conversation here to ask questions, get answers, stay updated and share experiences. Our release notes offer brief, high-level descriptions of enhancements and new features. Catch up on all the new features coming in the next release or watch recordings for any you missed.